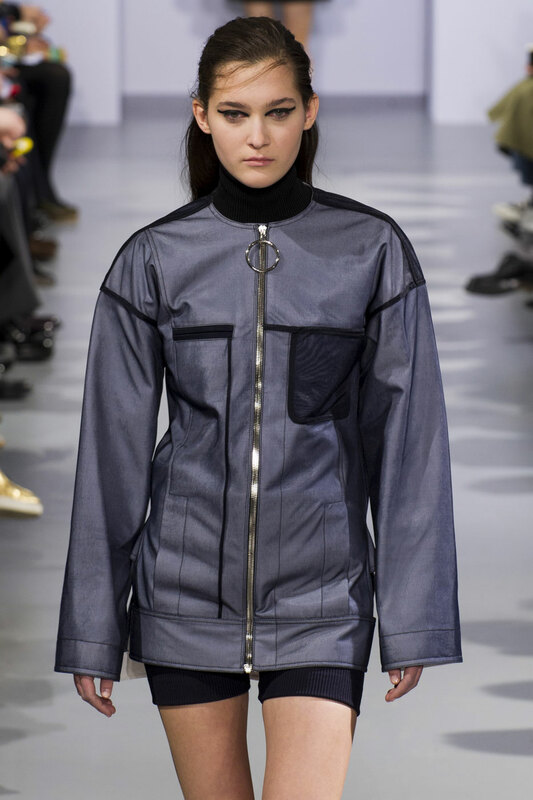 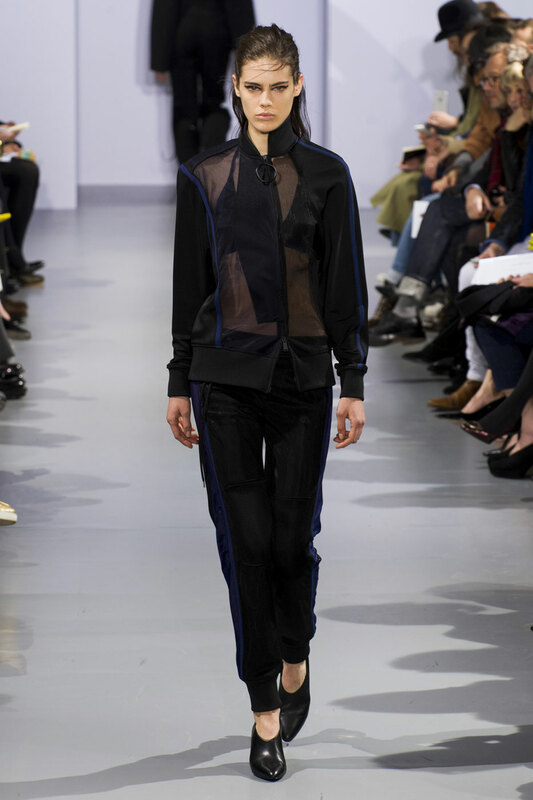 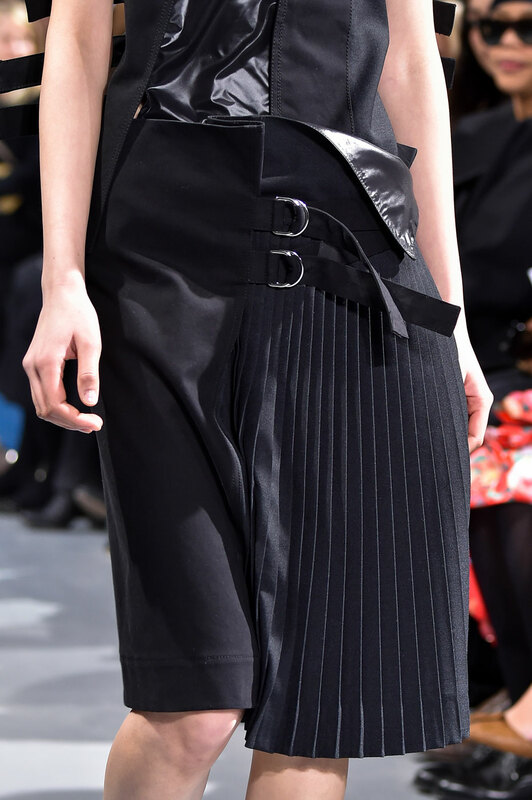 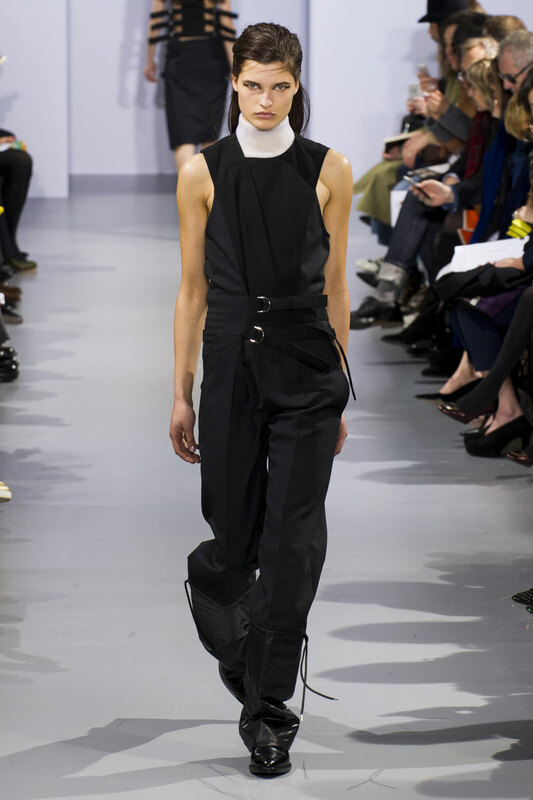 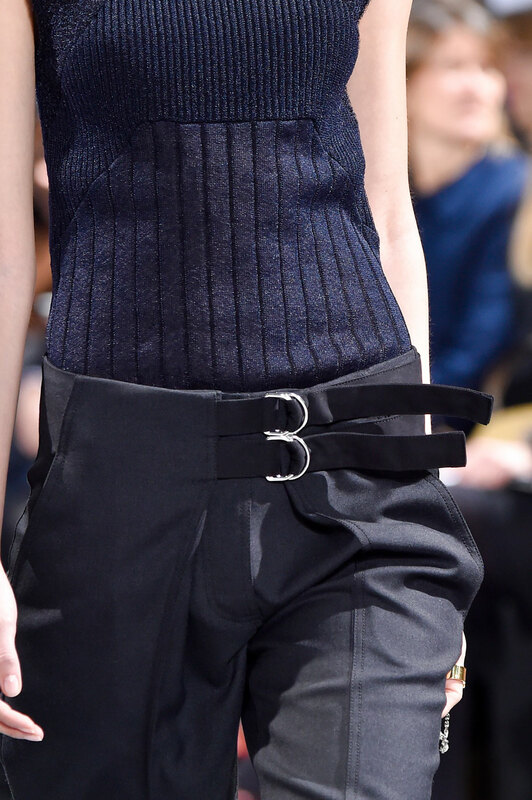 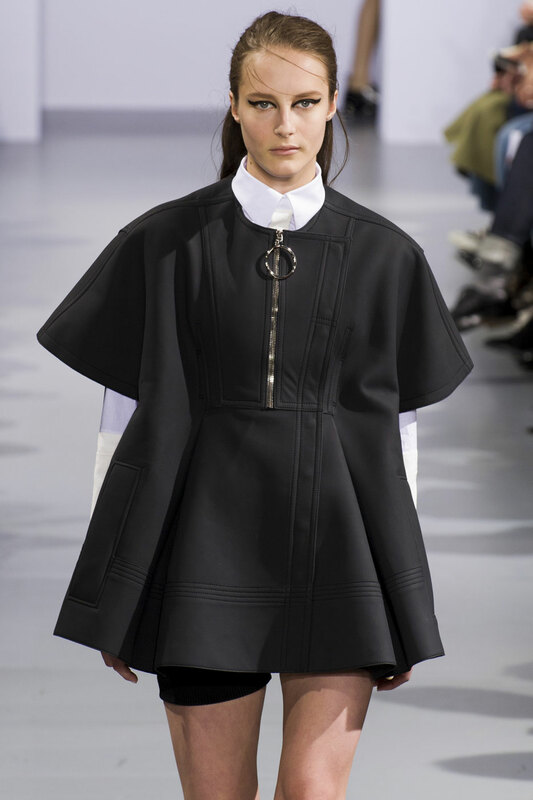 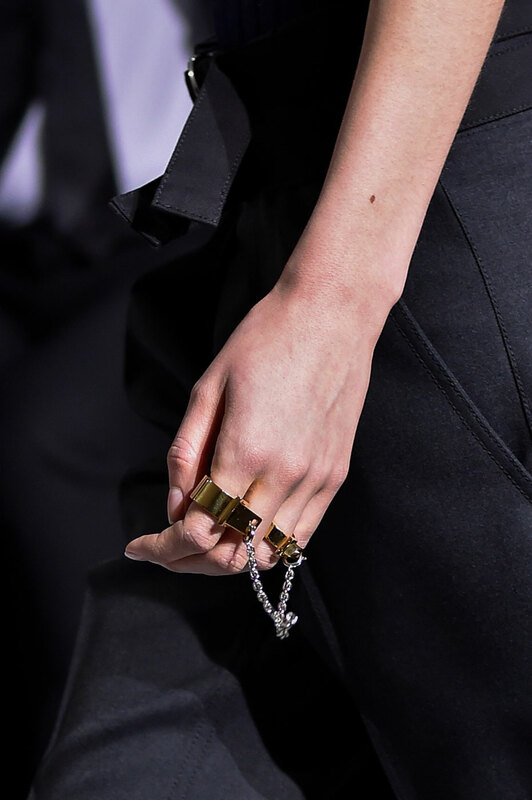 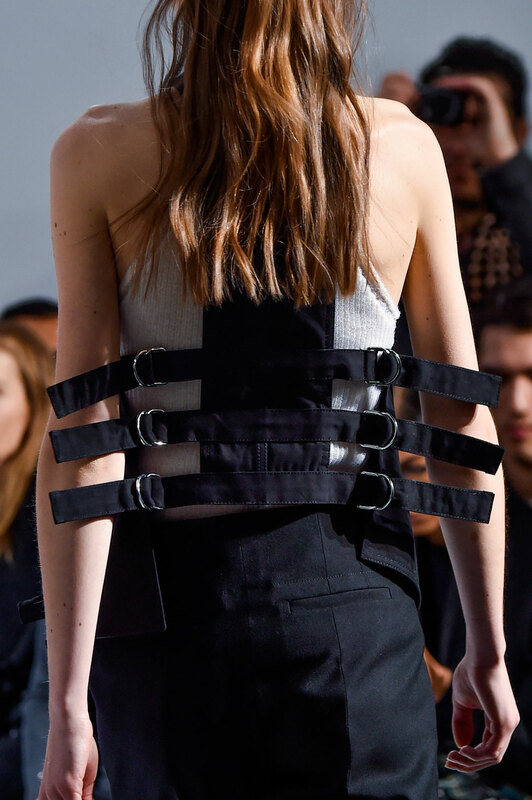 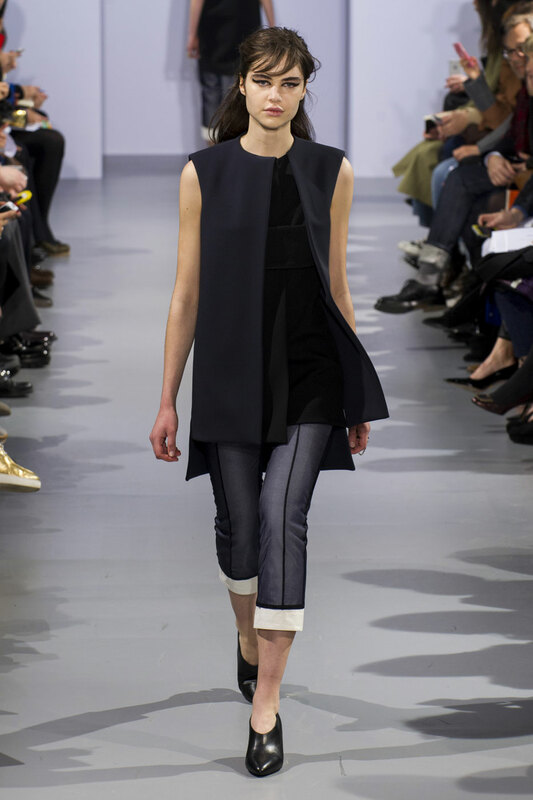 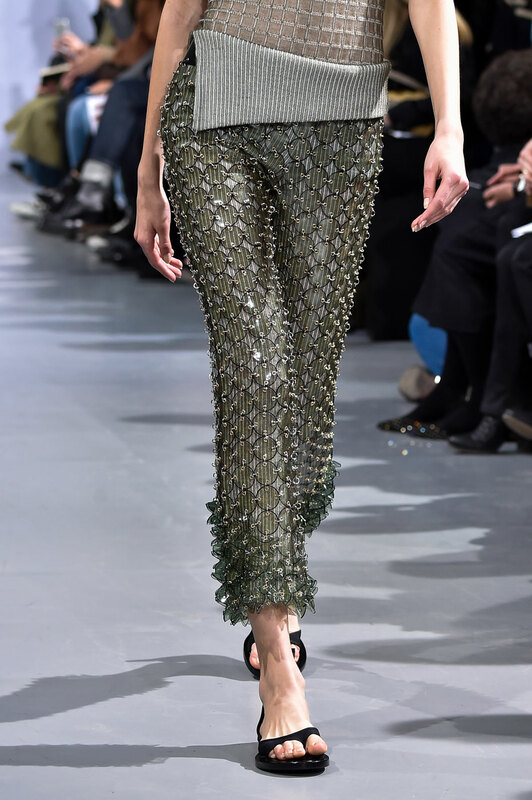 Paco Rabanne Women Autumn-Winter 2015 – A fresh new vision was brought to the catwalk at Paco Rabanne, in the form of a sporty chic line up. 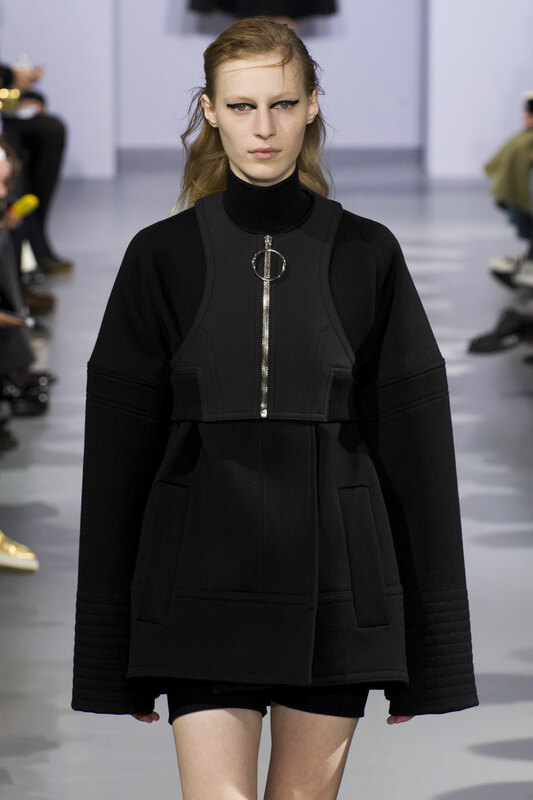 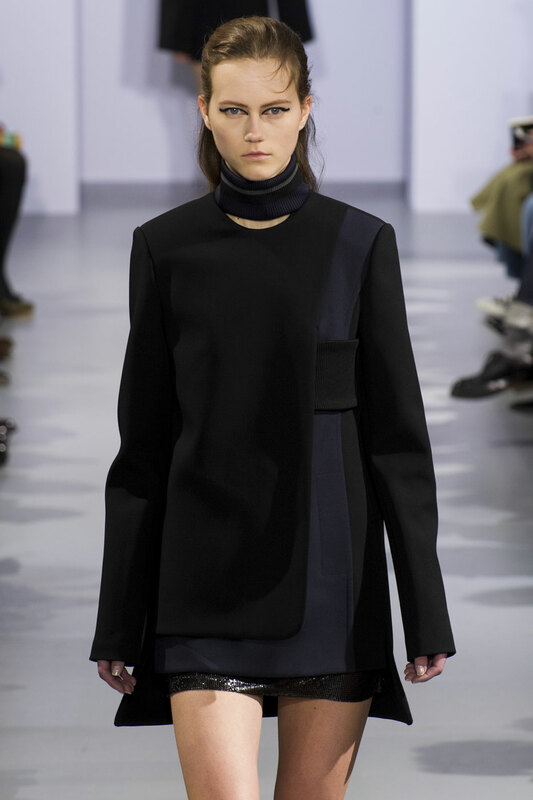 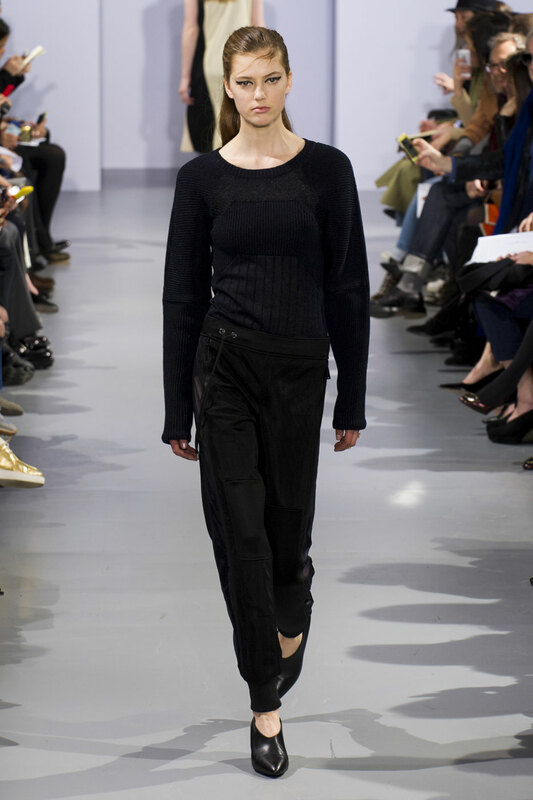 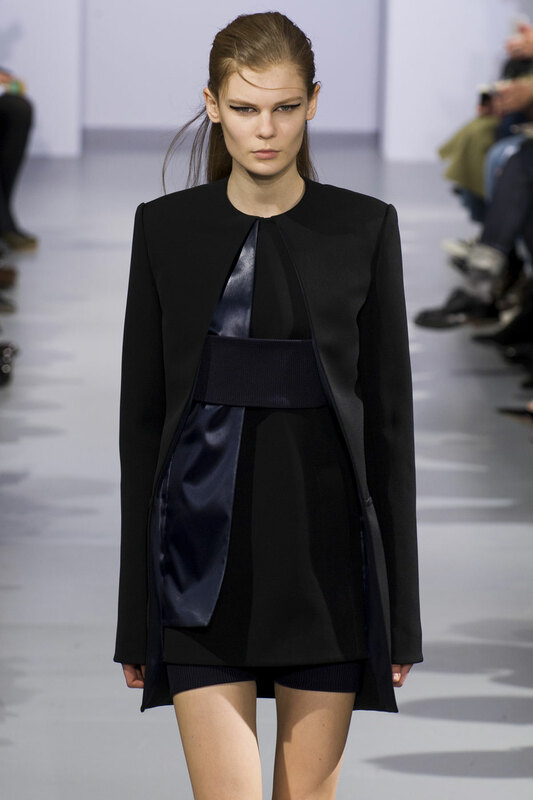 Creative director Julien Dossena took the label to a new level of contemporary and pushed boundaries on new volumes, impressive fabric development and an updated version of the iconic disc dress. 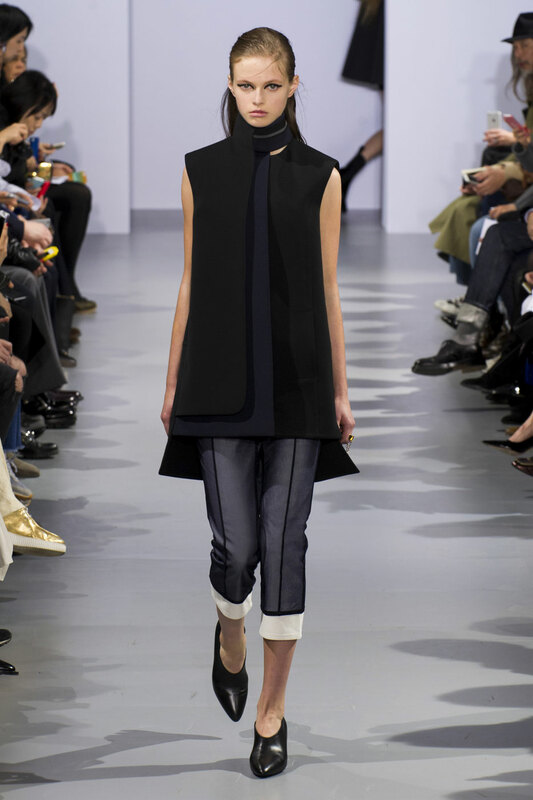 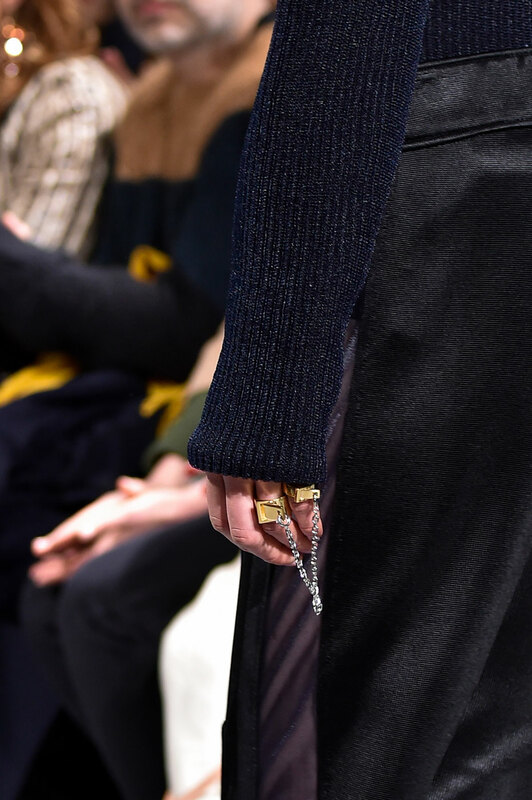 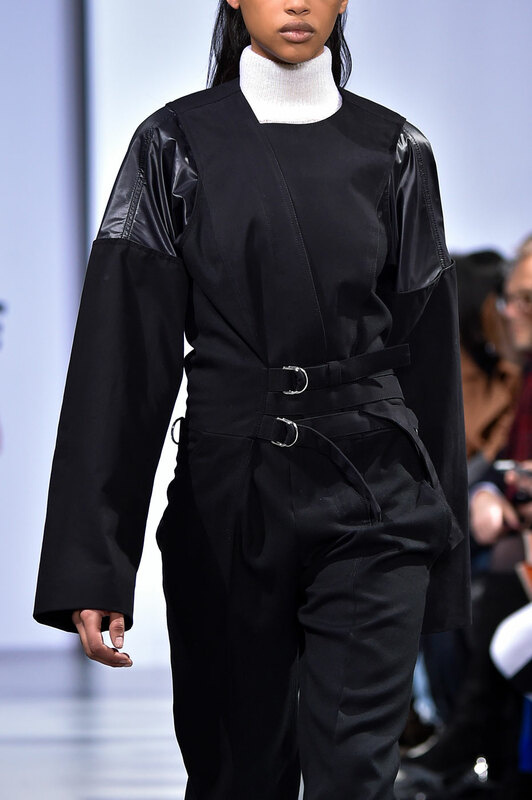 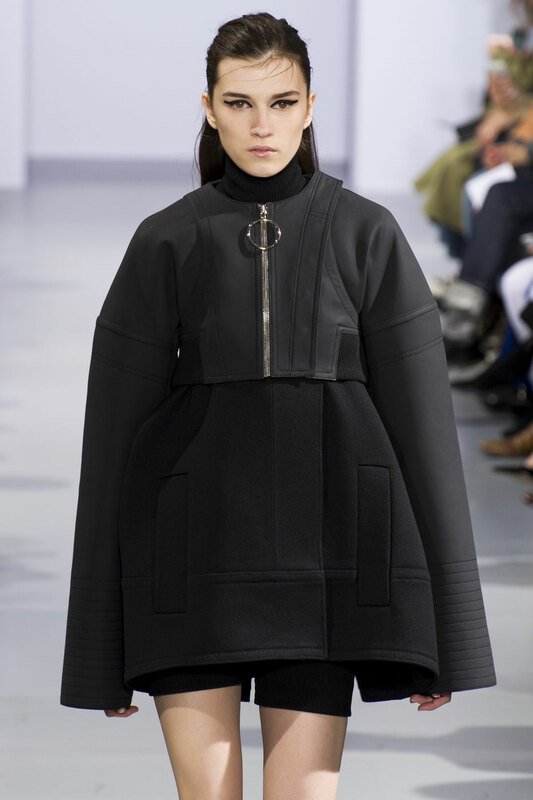 The collection started with trapeze- shaped dressed coats in a combination of wool and leather that portrayed strong athleticism. 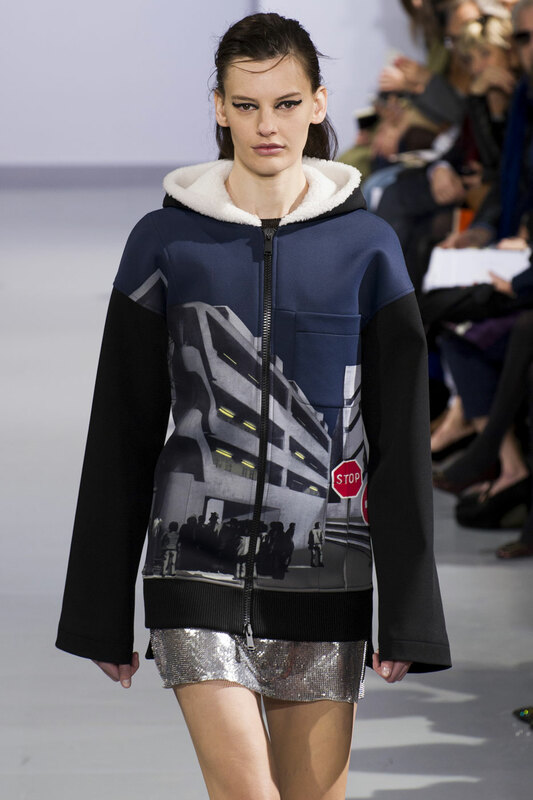 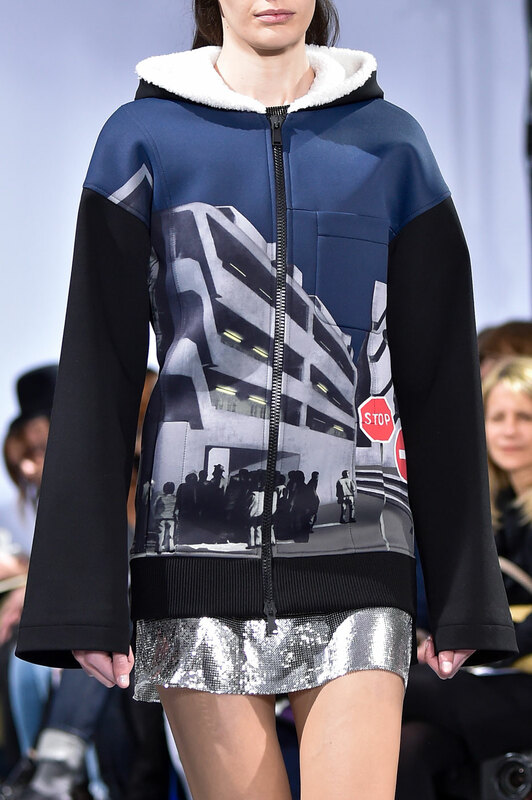 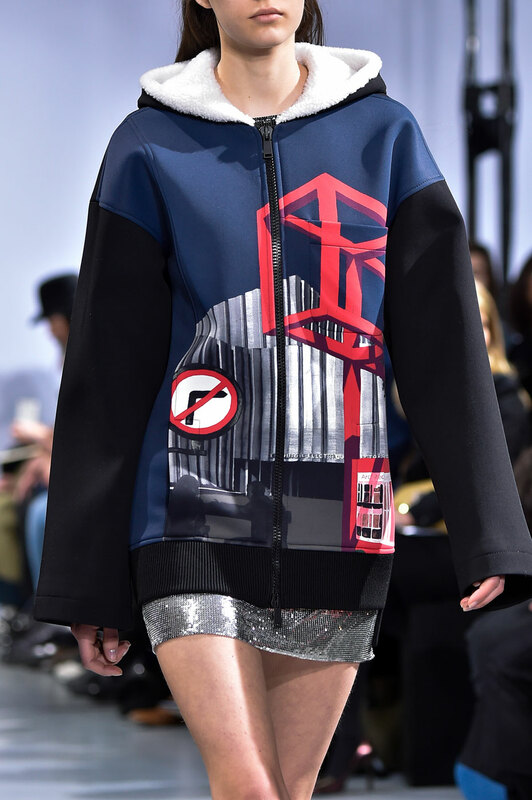 Zipped hoodies, emblazoned with images of buildings and highway signs gave an urban youthful vibe. 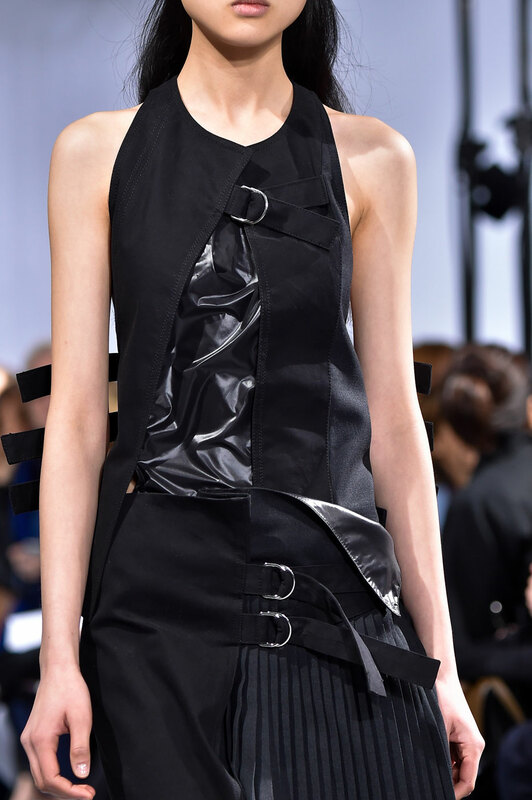 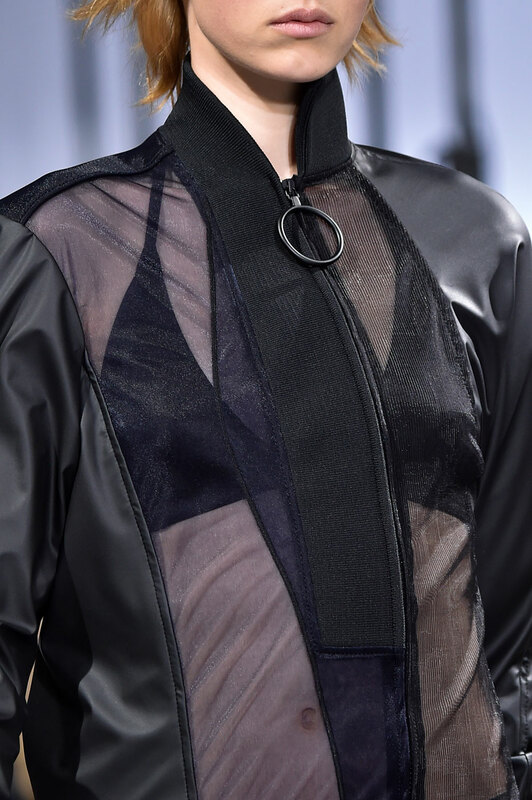 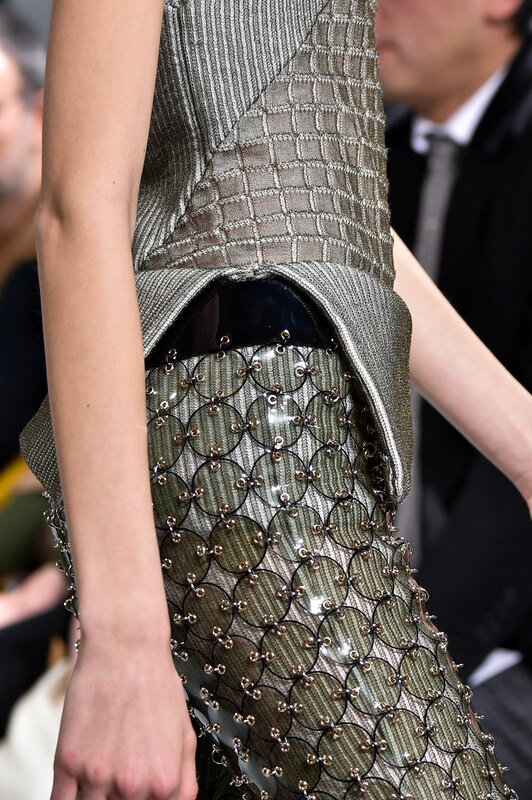 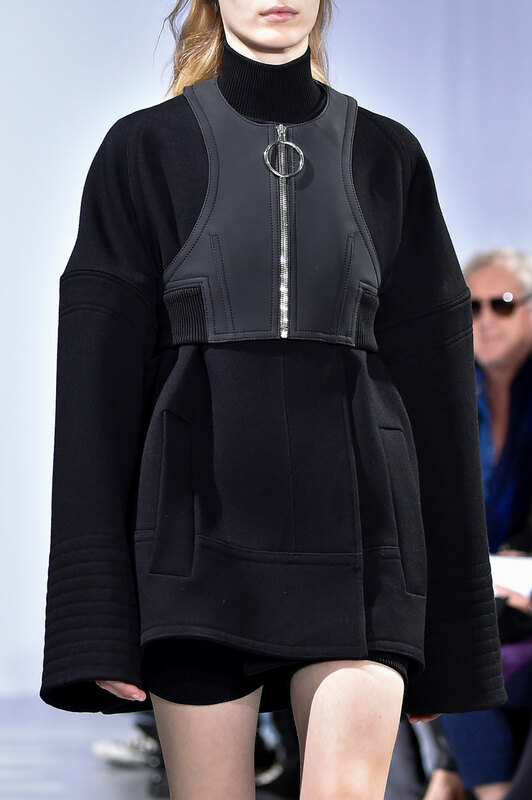 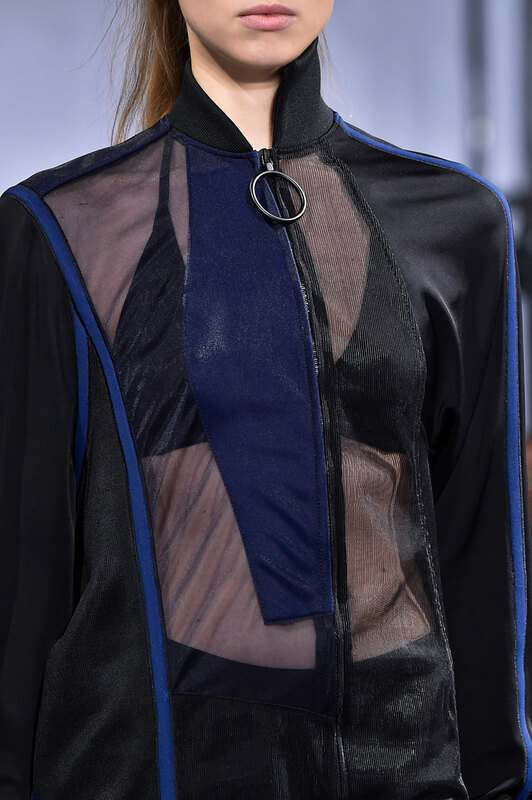 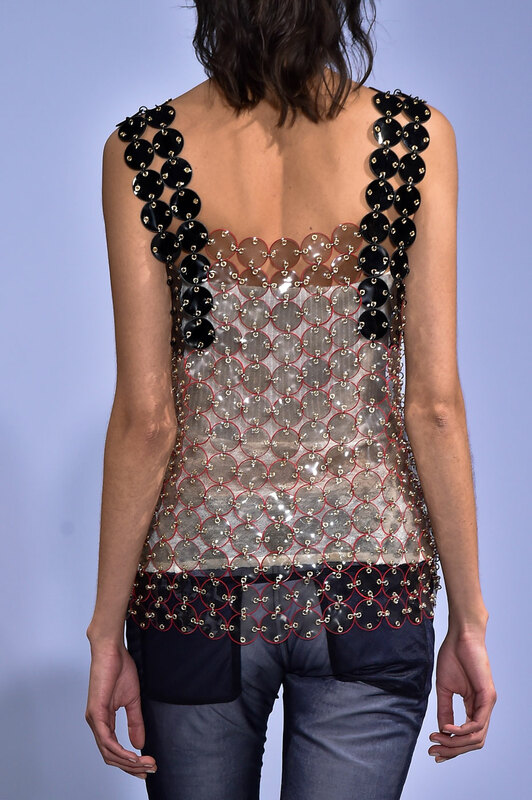 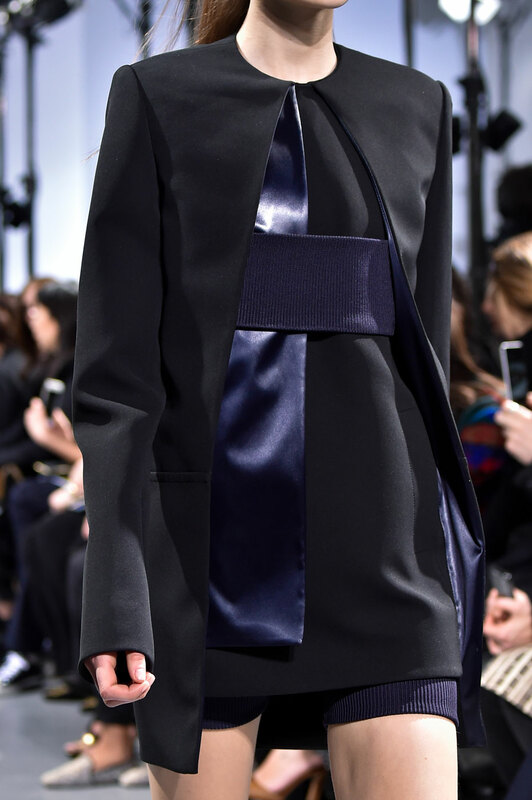 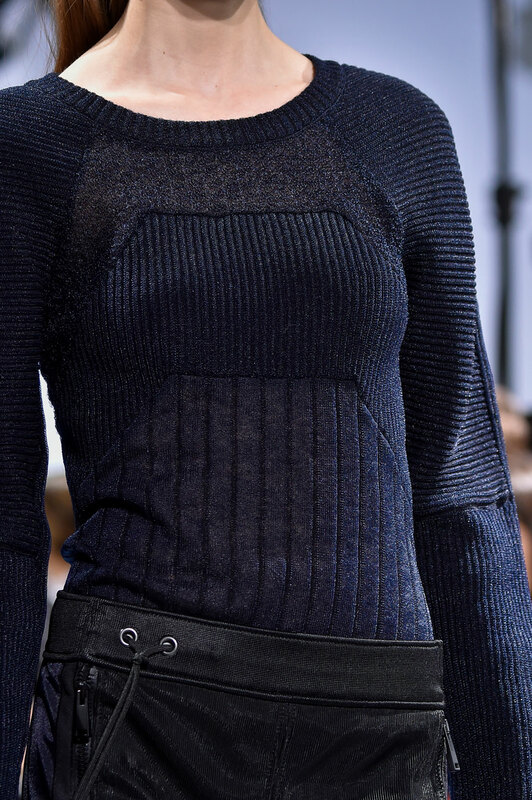 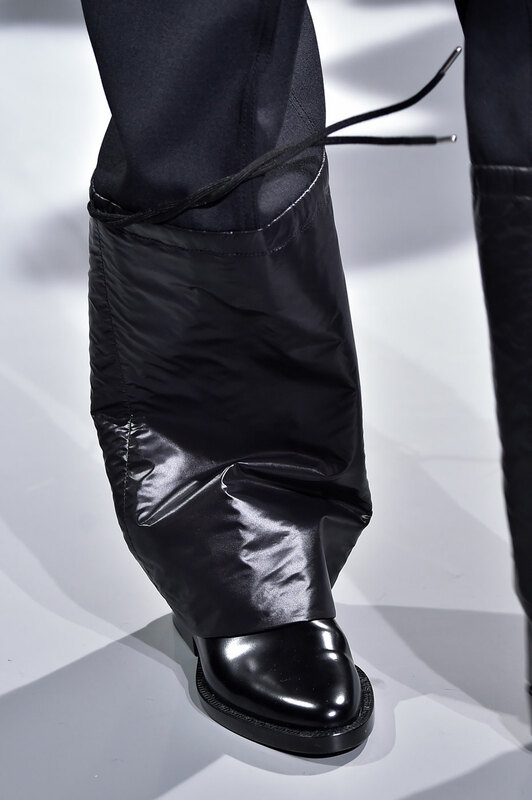 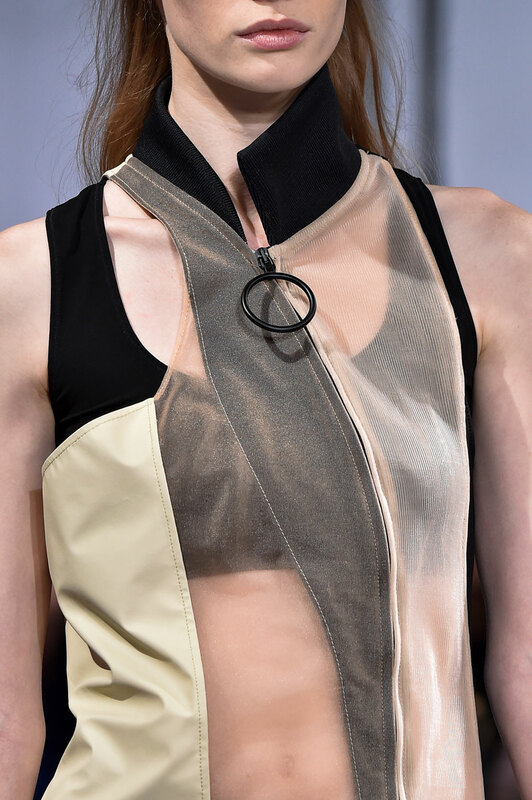 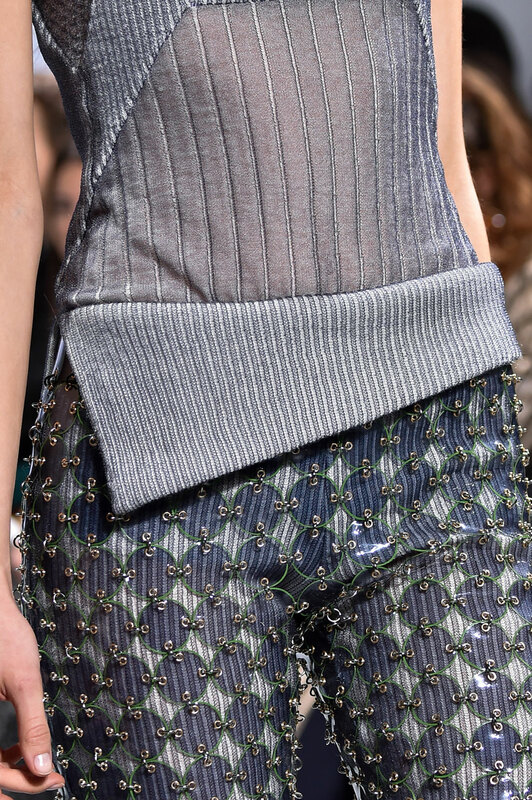 The Paco Rabanne silhouette is known for being voluminous and angular, however Dossena distanced from this and kept the looks sleek and streamlined and included a combination of neoprene, rubber, and metallic mesh, keeping to the futuristic aesthetic of the label. 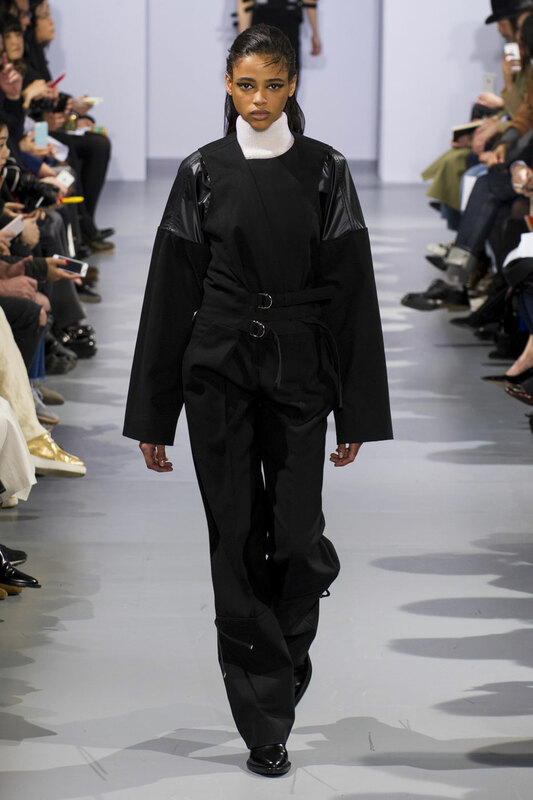 From Francoise Hardy in the 1960s, to Mica Arganaraz in 2015; the iconic Paco Rabanne dress is reinterpreted as a top by Julien Dossena this season, featuring a new kind of light plastic leather- backed disc. 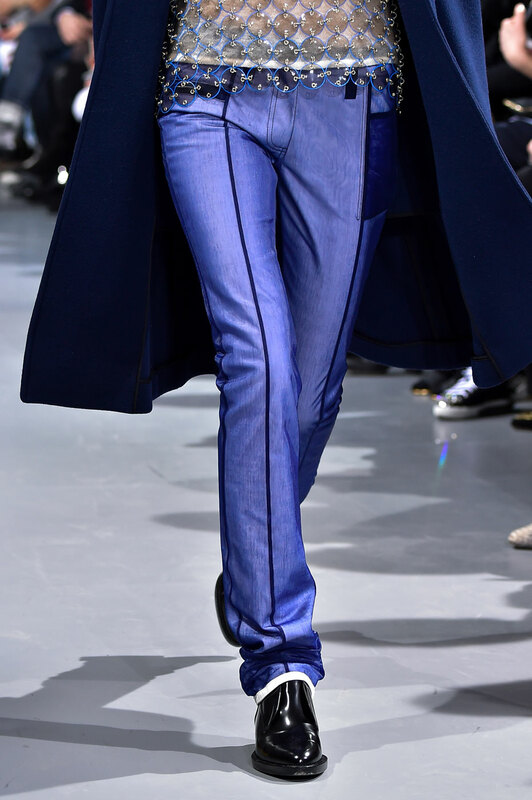 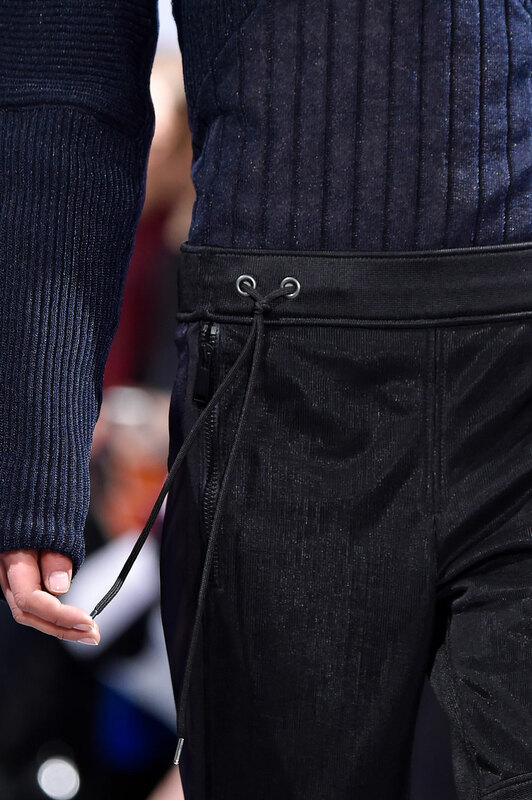 On the run way it was paired with blue hued pants, a sheer synthetic jersey jean worn over denim to create an x-ray effect at the seams. 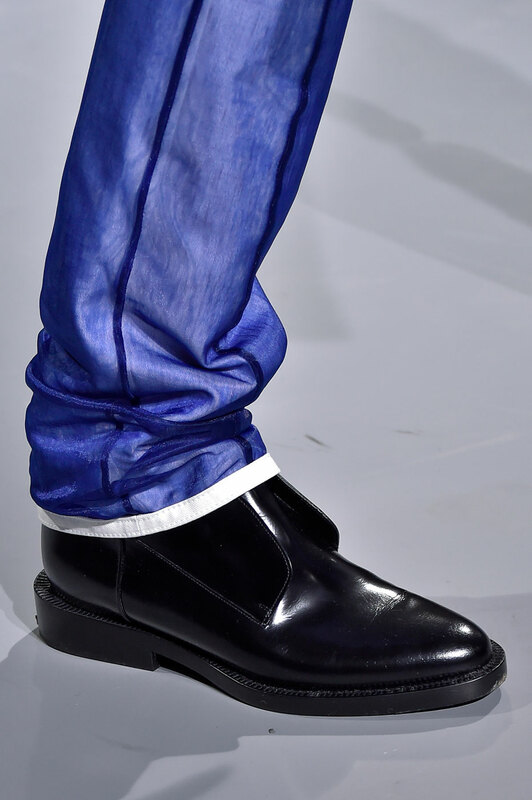 Slightly flared trousers, dresses and tops were also created from light plastic material. 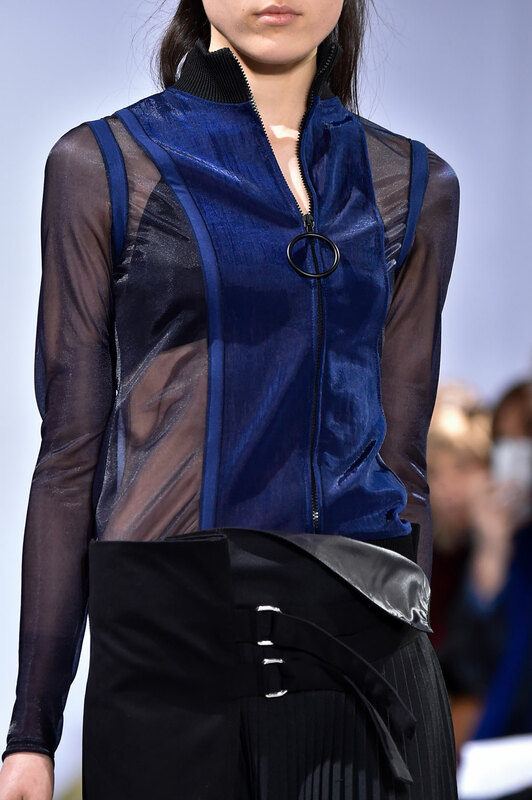 Transparent motifs followed through to the final looks with sheer panelled dresses and shirts with a slash of cobalt blue. 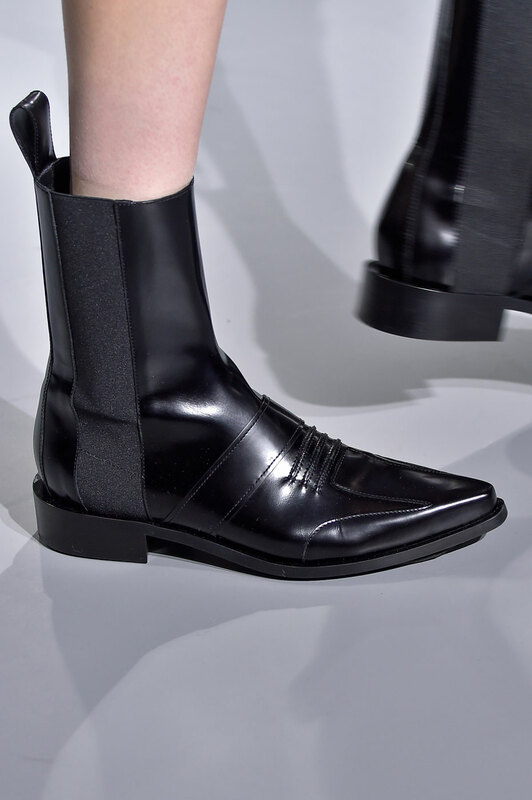 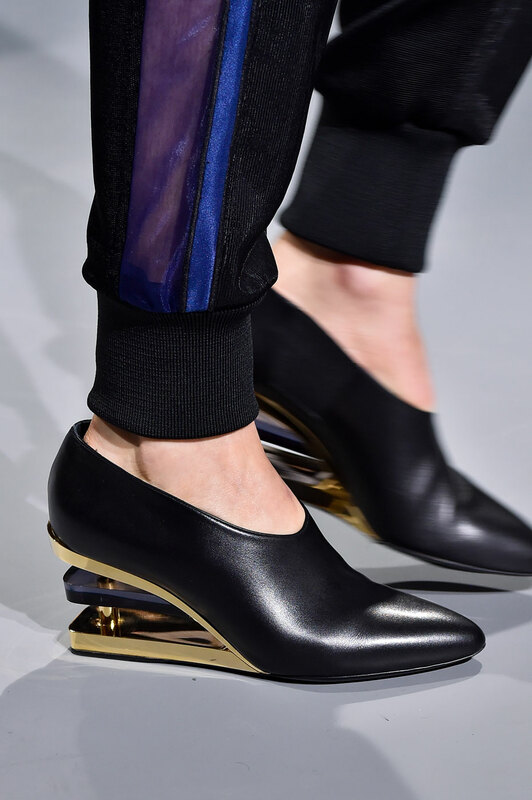 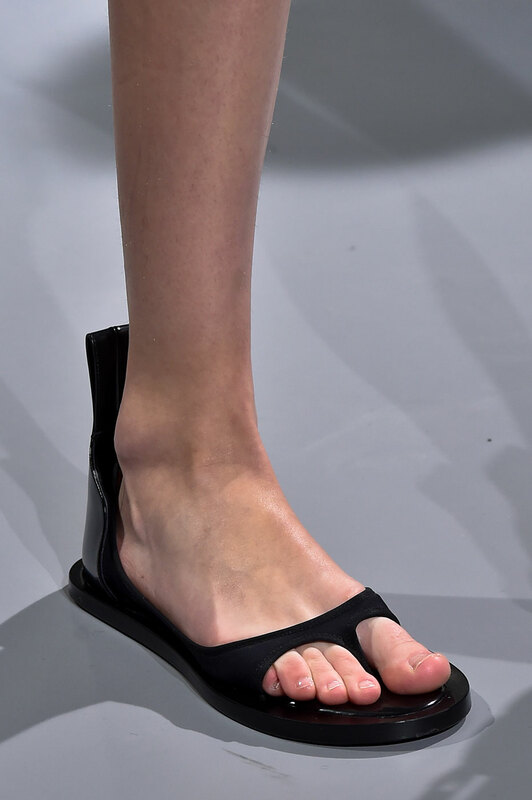 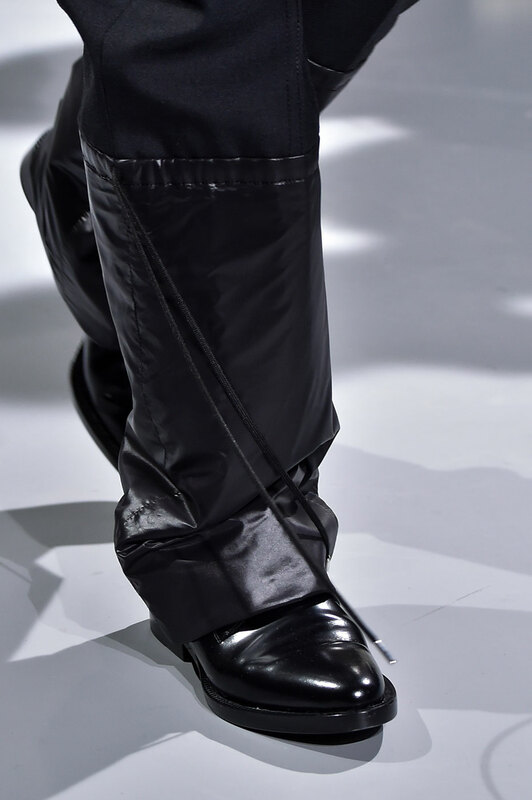 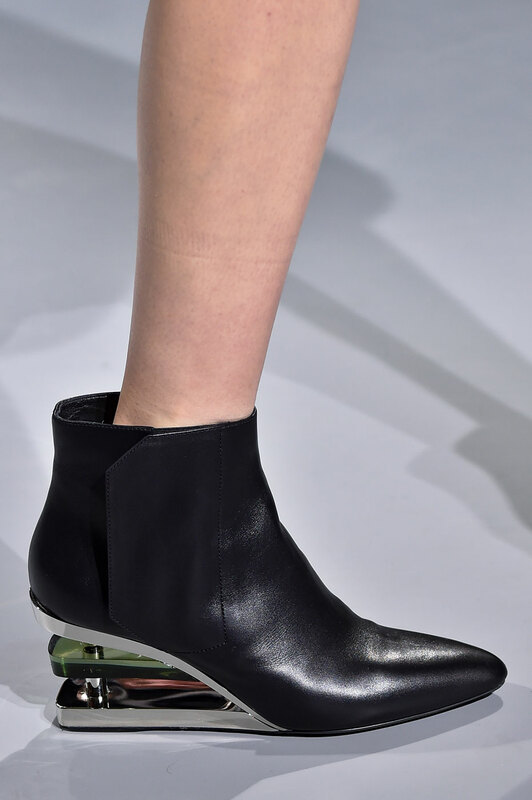 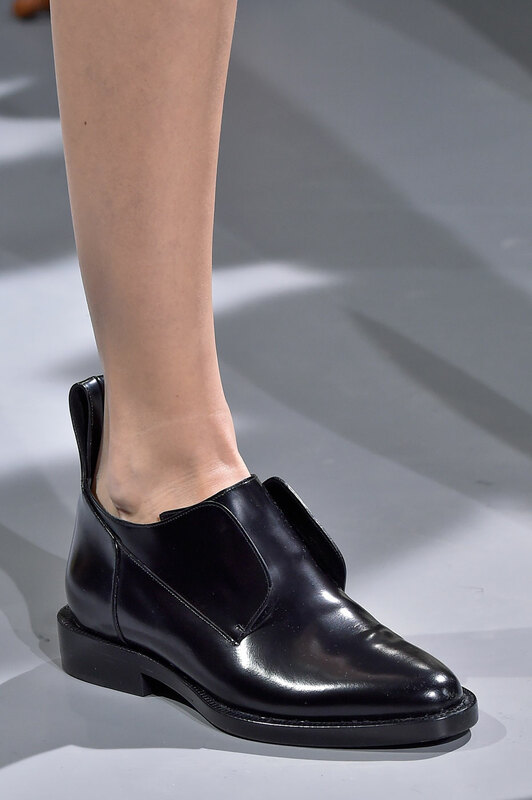 Footwear came in the form of black patent pumps with a detailed heel, low rise Chelsea ankles boots and even the slightly odd choice of flip flops made an appearance. 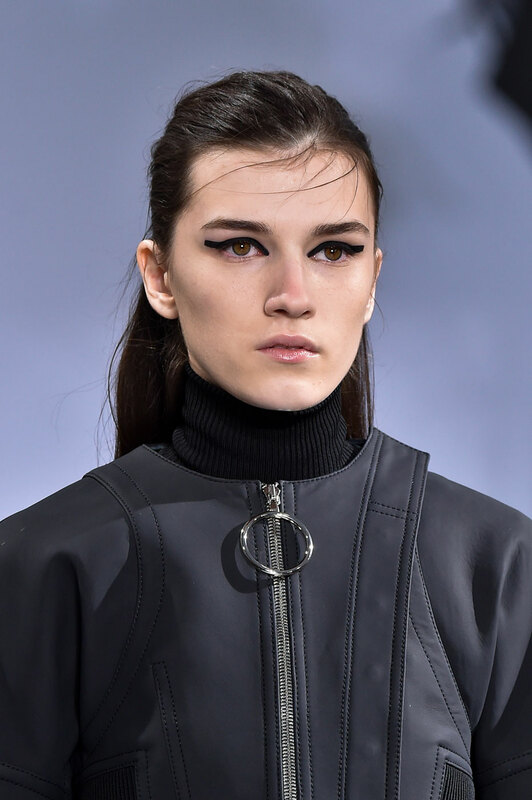 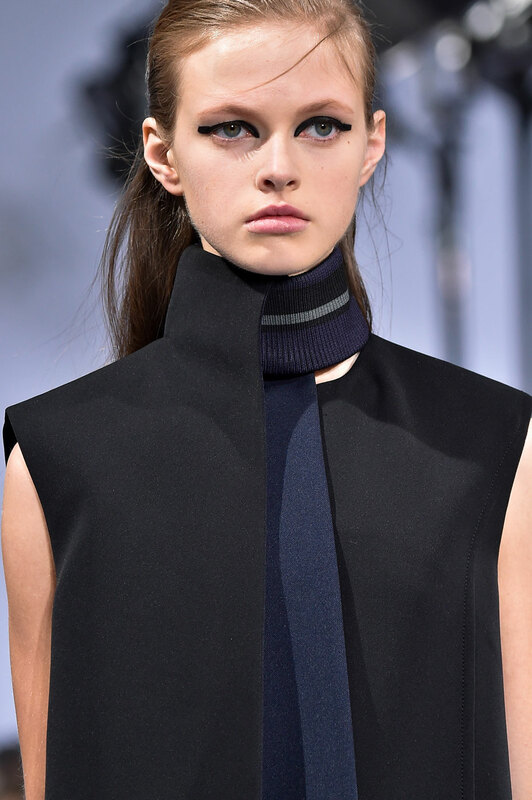 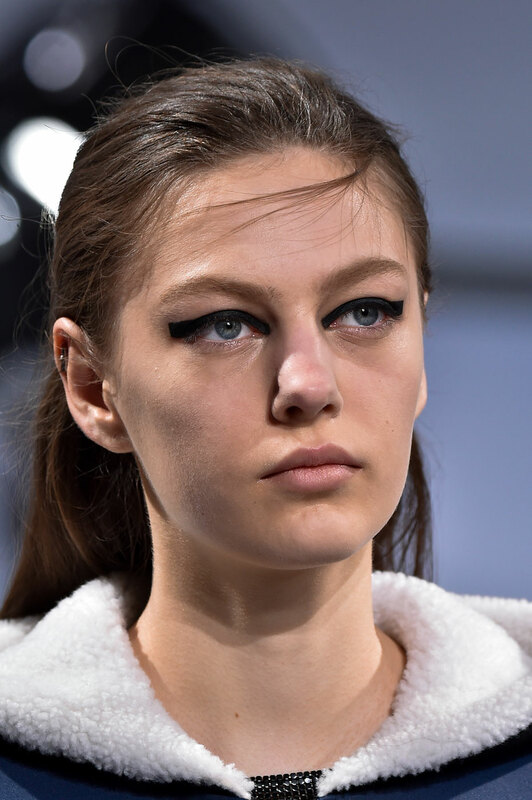 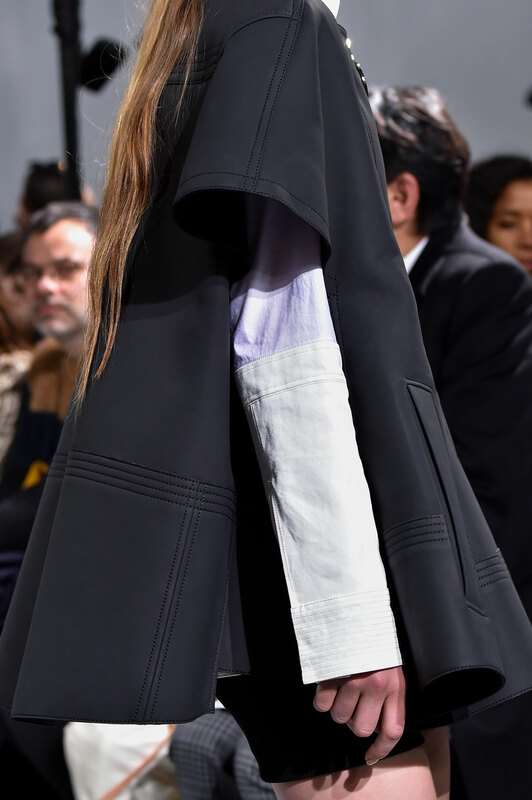 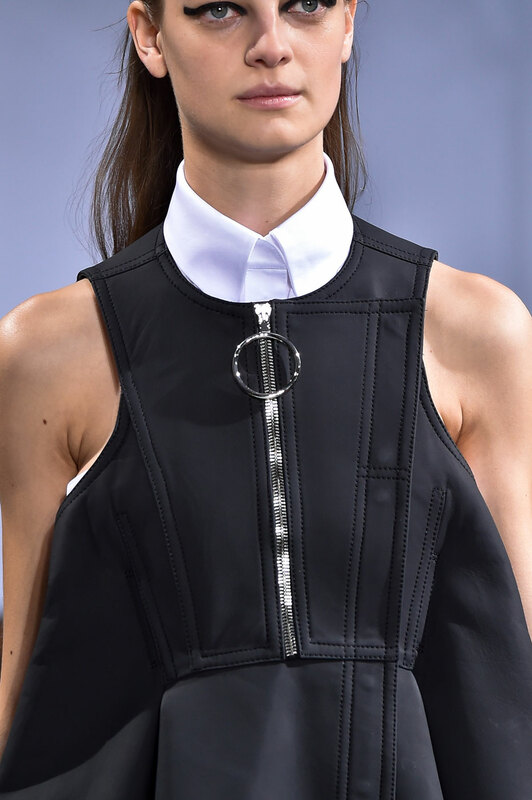 The model’s hair was worn in a half ponytail with small pieces of hair positioned across the forehead of a natural made up face with graphic eyeliner to accentuate the looks. 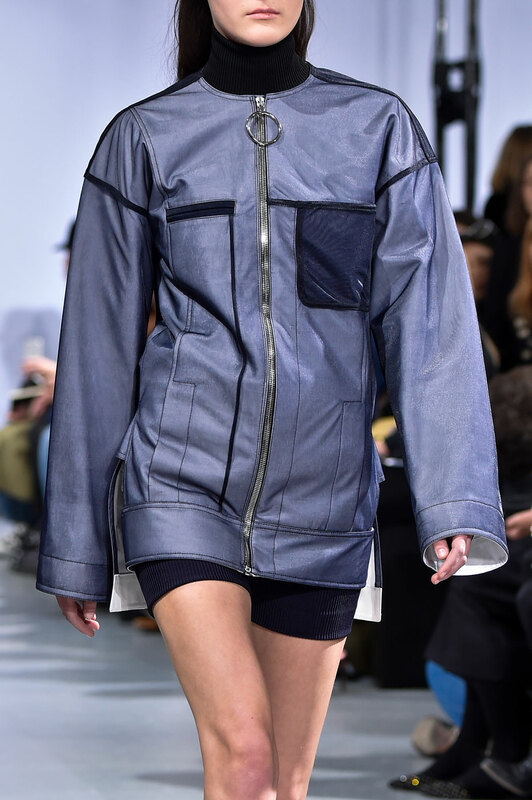 Dossena has refreshed the brand, establishing a ready-to-wear collection with a contemporary athletic edge without losing the signature futuristic element.